Concerning the automation with Universal Robots we are steadily upgrading our product portfolio with useful and easy accessible plug & play periphery. On the NRW-stand (hall 16 / A10) we will show our latest solution for bulk material separation and flexible parts feeding. 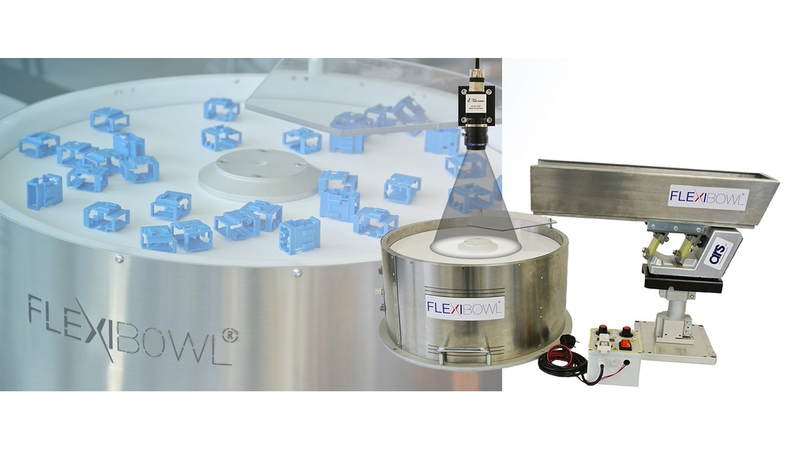 In combination with our fully UR integrated static Dahl Vision System DV-S for reliable parts recognition, the compact FlexiBowl by ARS is deployed. By use of the robot integrated UR+ certified Dahl Adaptive Gripper DAG-M a Universal Robots UR5 e-Series will then pick the sorted parts from the conveyor belt.